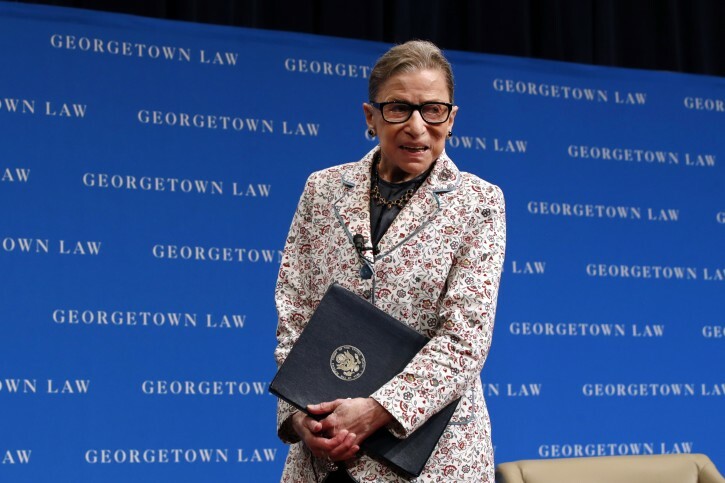 Washington - Supreme Court Justice Ruth Bader Ginsburg was released from the hospital Friday after having been admitted for treatment and observation after fracturing three ribs in a fall. Trump is a class act, unlike the liberals who wish him death like Madonna and Kathy Griffin he wishes his opponent to feel better. Ginsburg clearly cant function physically OR mentally she MUST resign immediately if she cares about this country. You are a tool. Even many of Trump's friends and supporters don't think he's a class act. He is most definitely not. Wealthy, successful businessman and politician but not a class act. Also, what is your evidence that Ginsburg can't function? None/ You are just blathering. That ain’t no apology, that’s regret for goofing up in not acting like a respectful SCJ in public. I am sure we all join in wishing Justice Ginsburg a full and speedy recovery. Of course lyin Paulin we are all Jewish . All Jews want other Jews to feel better ! You as a Jew should know that . #6, now you see, I very carefully posted my message on Saturday, the Jewish Sabbath in order to prove I am not a Jew. It is silly that people here insist I am a Jew and other people (like Justice Ginsburg) are not. To Archy-Have you gone mad? PaulinSaudi, is an American resident of Saudi Arabia; he does not disparage anybody on this site, and his posts are all respectful, and are not threatening, hostile or disrespectful, as yours are. I think that you qvell with your harassing posts! I don't understand why your court system doesn't have mandatory retirement at a certain age. Your post has gooto be the funniest one . Let me explain this to you yamsar. You are all the same person whether it's yamsar or yonasonw or Paulin . You disparage people under the name yamsar . When you decide to use the name Paulin you choose not to disparage people . But you are the same person . In fact you yamsar is the only one that noticed the one remote post that puslin got thru in Saturday . The only one that would notice it is if you are him . She has more sehle in her tuhes than you in your brain.